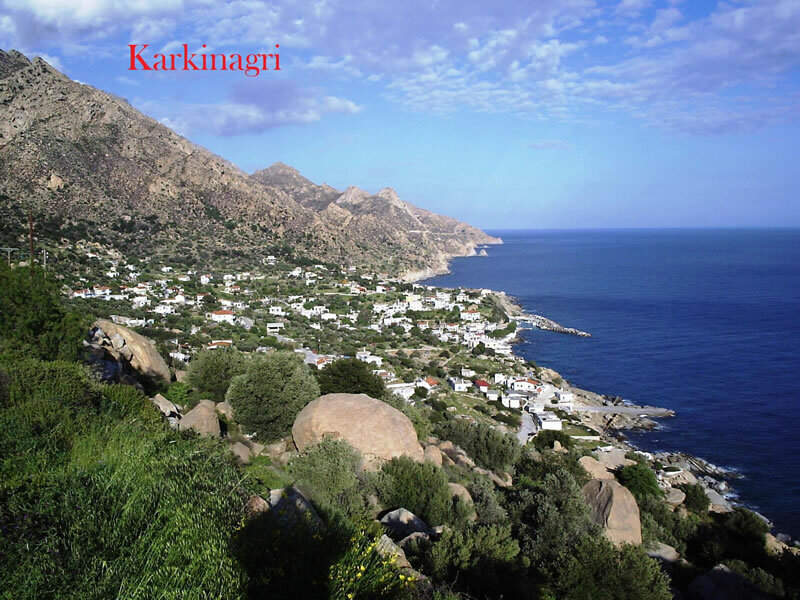 Ikaria is one of the biggest islands of eastern Aegean, its geographical location being: 37o 35'41.42" N - 26o09'30.88" E. Its size is 255 square kilometres with a coastline of 102 km and its population is 6074 people (2001 census). 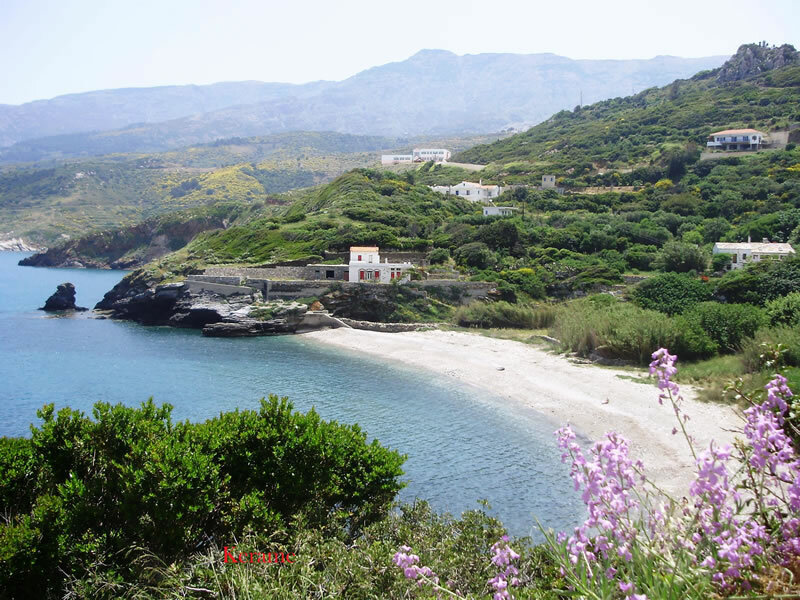 Administratively it is divided into two municipalities, the Municipality of Aghios Kirykos with 3243 people and the Municipality of Eudelos with 2831 people. 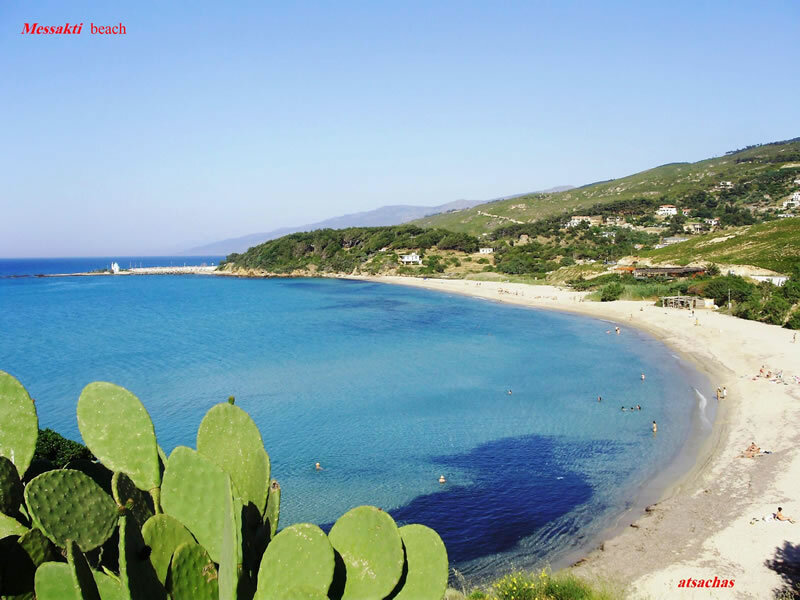 The third municipality of island is mountainous and is named municipality of Raches, is constituted by 2200 residents. Its configuration is full of contrast since it has green slopes and bear, rugged rocks. The island is mountainous for its bigger part. It is crossed by the mountain chain of Atheras (Pramnos), the highest peak of which is 1040 metres. 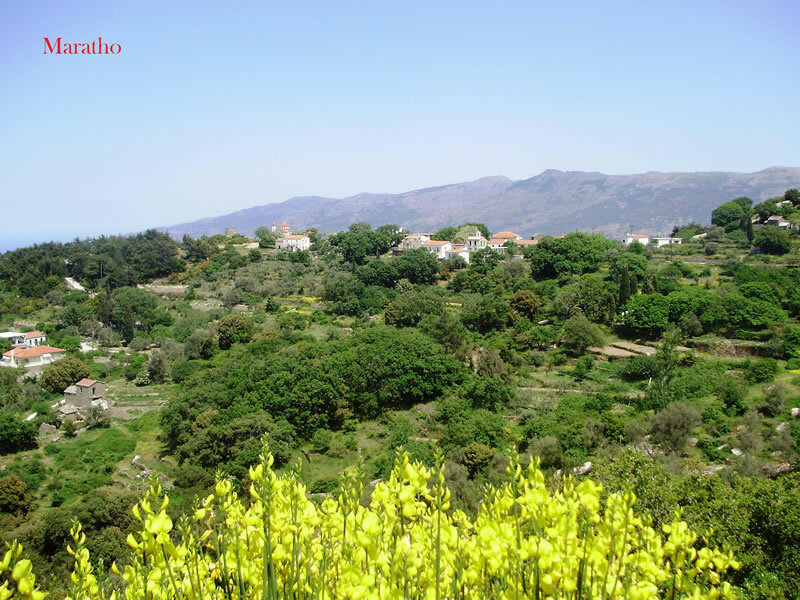 The majority of its villages are located in the valleys near the seaside and only a few are on the mountains. 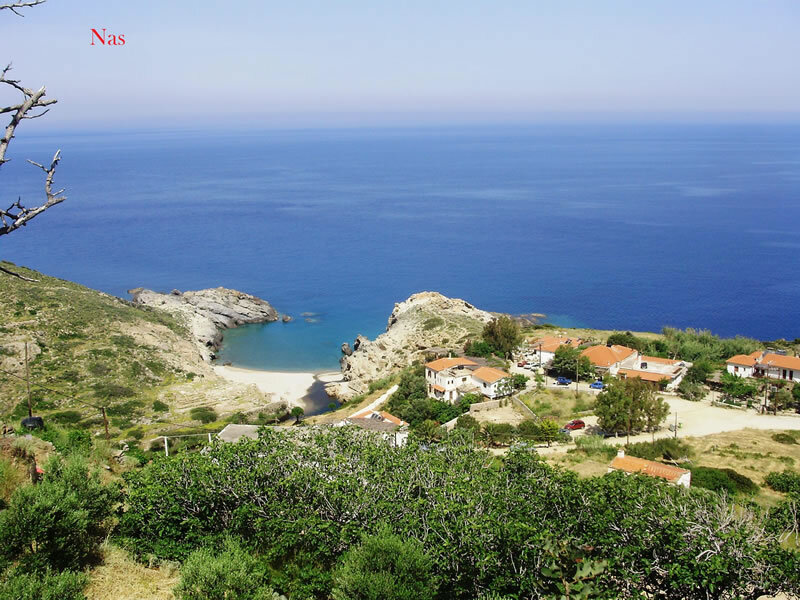 Ikaria has a tradition in producing a strong red wine (Pramnios Oinos, wine from Pramnos). A lot of places on the island are covered with big bushes, which give the landscape an image of rich vegetation. There are no rare animal species on the island. Besides the common types of animals, there are only a few flocks of sheep and goats (called "raska") which breaking the peace of the place with the sound of the bells they have around their neck. 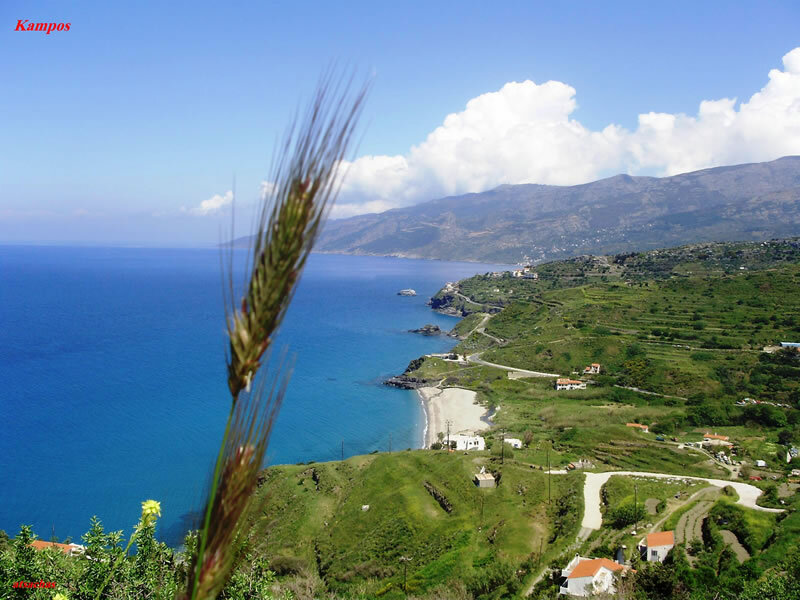 The climate of ikaria is mild. 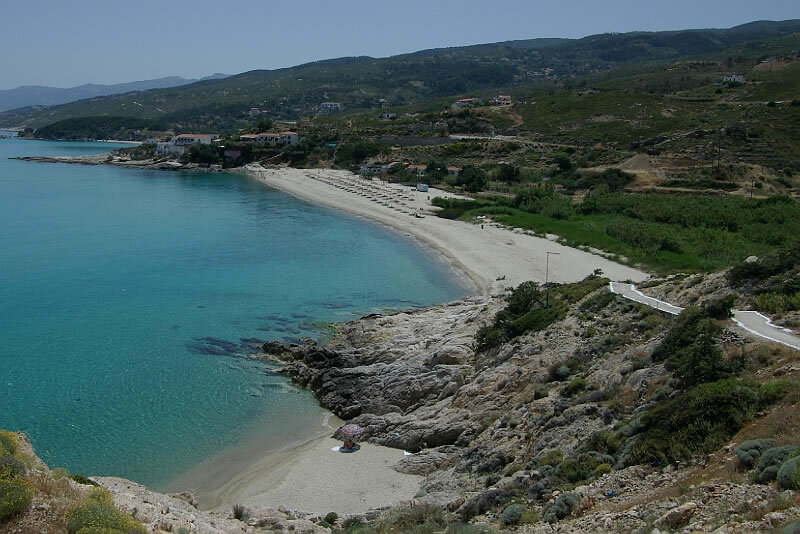 -Ikaria or Ikaros as it was known during the Classical years, belongs to the Eastern Sporades, a group of islands along the coastline of Asia Minor, which was called Karia. 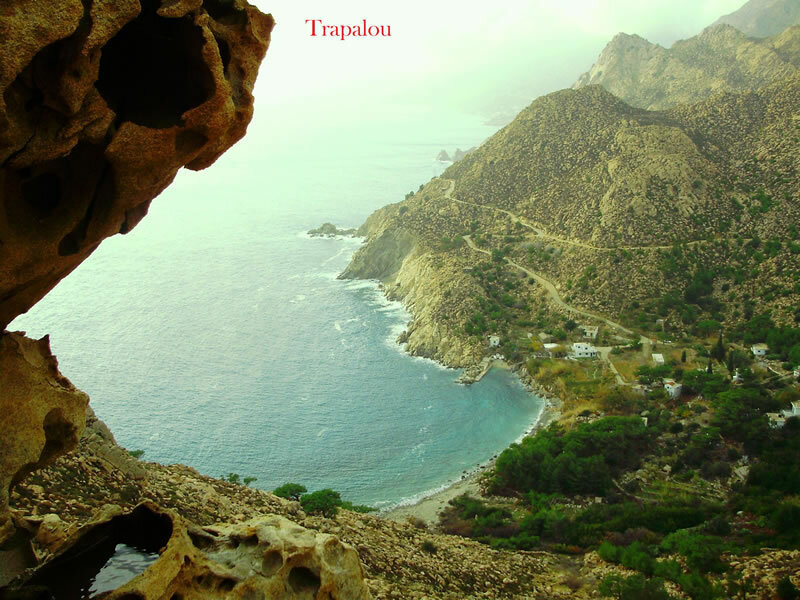 12 miles north- east from Ikaria stand the bear dominating cliffs of the mount Kerkis of Samos, while in the south one can make out the little island of Patmos. Some miles to the east there are Fournoi, a complex of small islands, known in the classical years as Korsies. 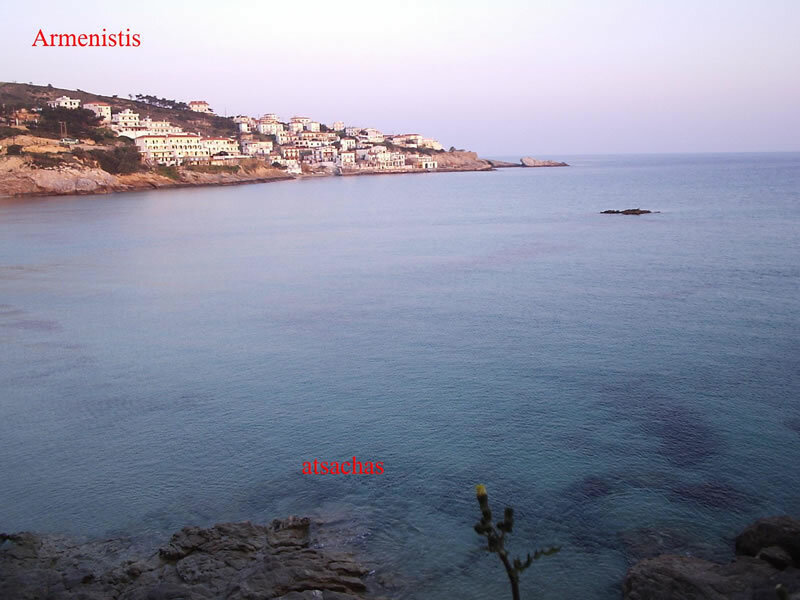 Geologically Ikaria is part of the formation that starts from Asia Minor, passes from Samos and extends to the Cyclades. -There is little arable ground. The mountain chain ends up to the sea in the south, leaving very little land for cultivation, and this land is being utilized by the locals with the ancient technique of "pezoula". However, the ground is much more even on the north side of the mountain. 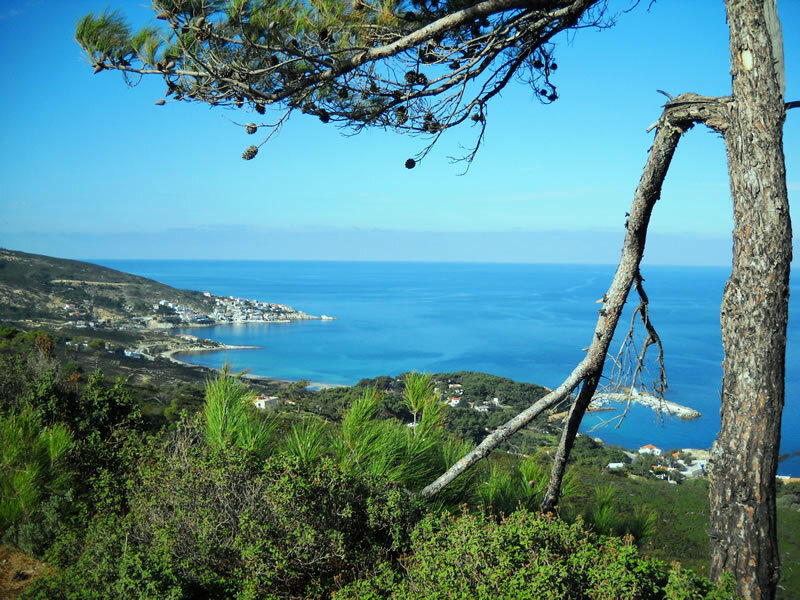 So, Kambos, - ancient Enoe- in the lee side of the island, is a well watered small plain but in general, there is more vegetation in the north part of Ikaria compared to the south. 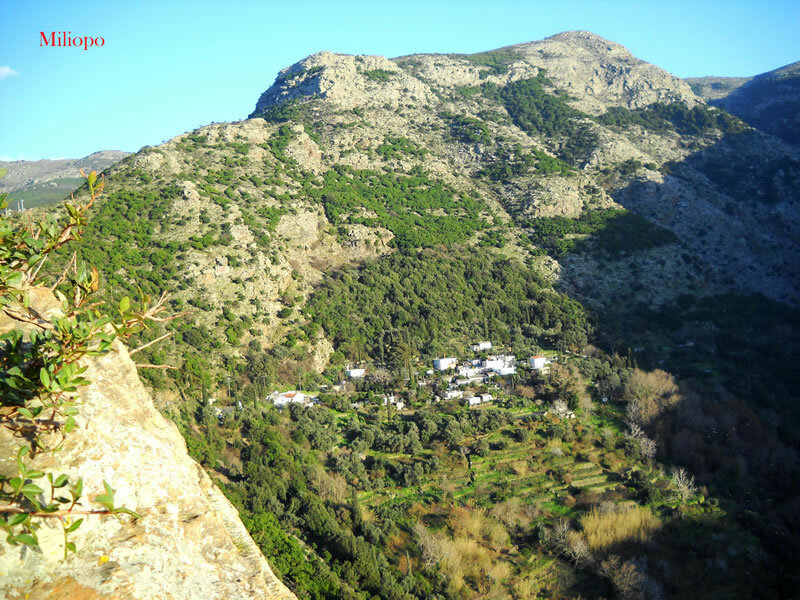 -Ikaria has rich water supplies especially after the construction of the two dams (the big oneand the small one) on the mountain. Inside the mountainsides the rivers have dug a series of large gorges which although in summer have just a little or no drinking water, in winter they get flooded and in some cases they form rapid streams. 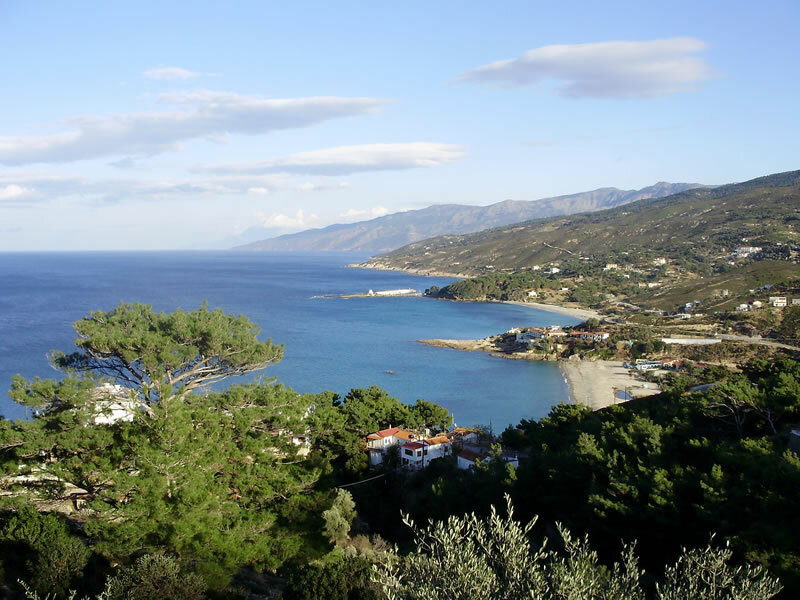 Ikaria has 76,2 cm of rain yearly. Most rains fall between October and March. However, as the cold is modified due to the influence of the sea, the winter looks more like the autumn of North America or Europe, with only some colder intervals. -Flowers start blooming in February and by March they cover the entire Ikarian land. By midspring, the ground in the terraced vineyeards and the poor soil on the stony mountains are covered with poppies and anemones. People are stunned when they see at a place like that magnificent trees with dense foliage, like the mediteranean pine, the evergreen oak, and the holly.